A valuable and practical reference for the business lawyer covering the most common issues and the latest developments in intellectual property. Written by experienced IP lawyers, the eighteen chapters of the Deskbook are short, readable, and practical, covering common issues as well as some of the latest breaking intellectual property issues. 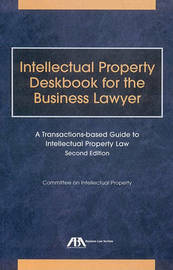 Organized around common business problems and transactions, the subject matter of the Deskbook includes advice regarding IP representations and warranties, security interests in IP, due diligence in connection with acquisitions and other transactions, licensing, bankruptcy, IP insurance, IP and real estate issues, and many other topics. 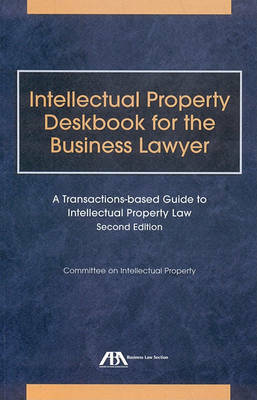 You will find the Deskbook an invaluable reference for IP issues in business transactions. Also included is a comprehensive bibliography of resources to enable attorneys to quickly expand their understanding of the identified issues.